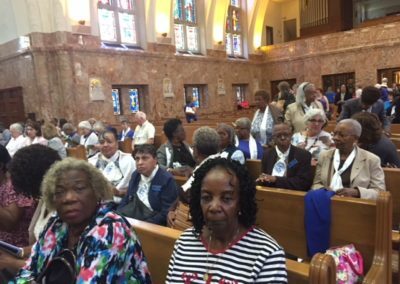 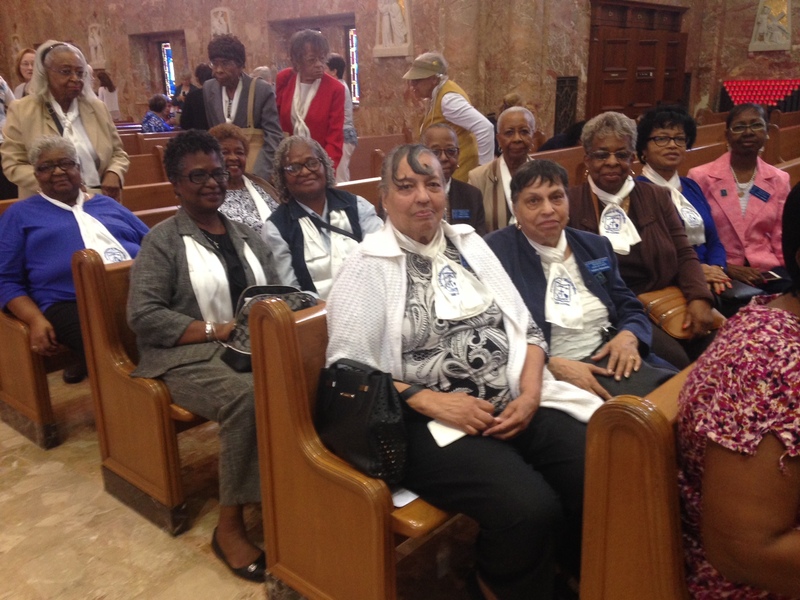 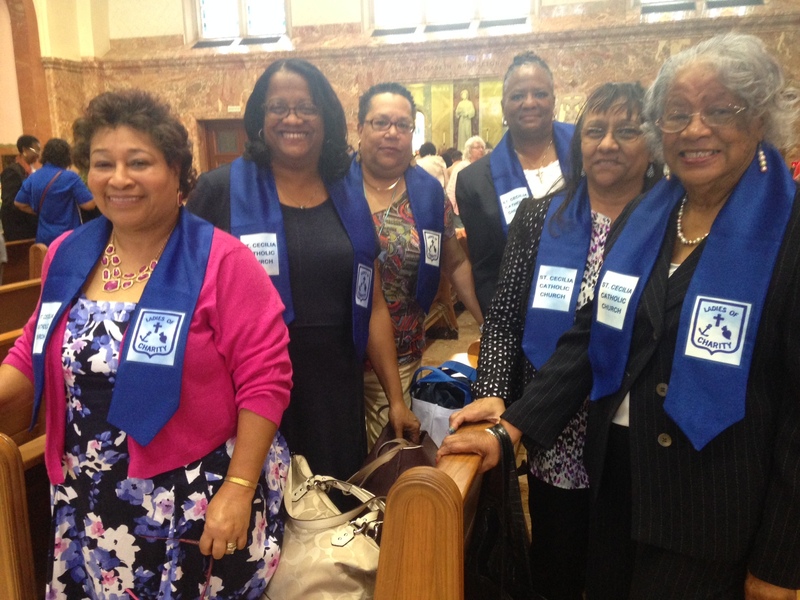 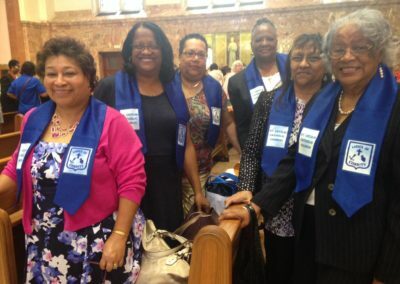 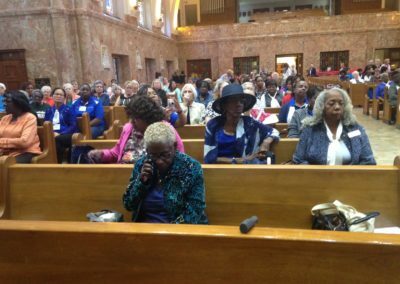 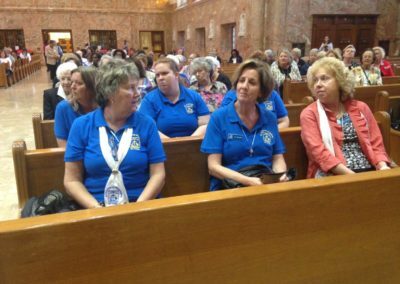 On Saturday, October 7, the Middle Atlantic Ladies of Charity gathered in Emmitsburg, Maryland, to celebrate their 400th Anniversary. 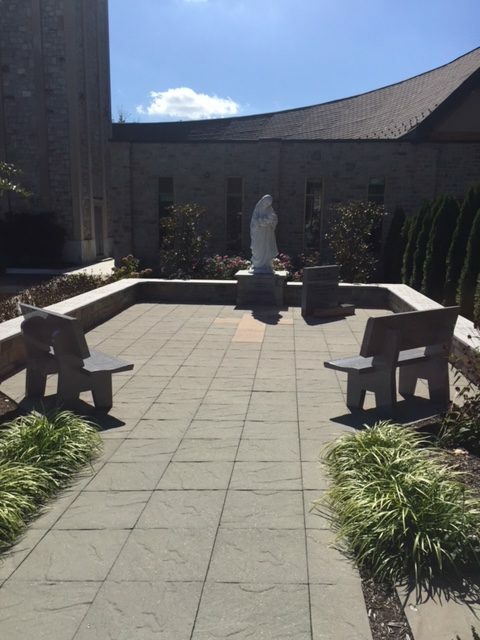 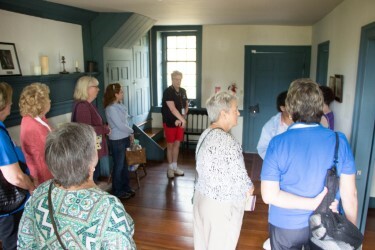 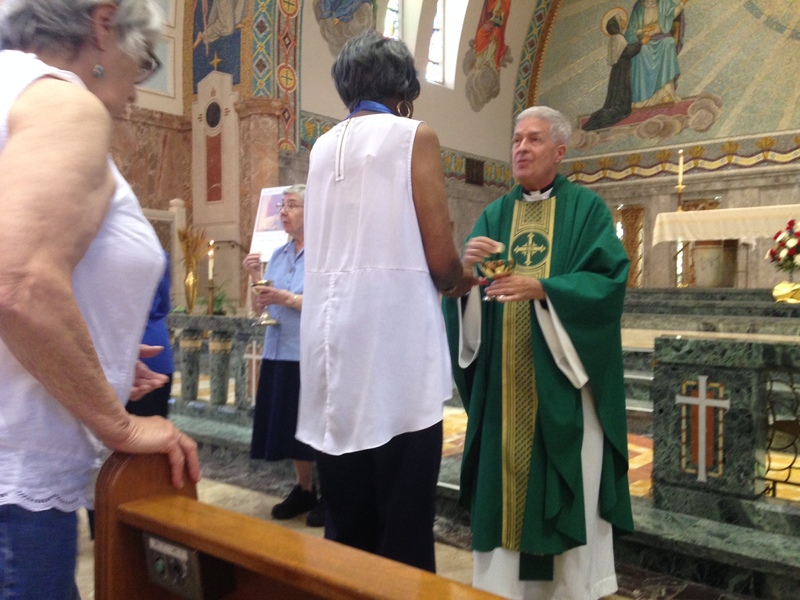 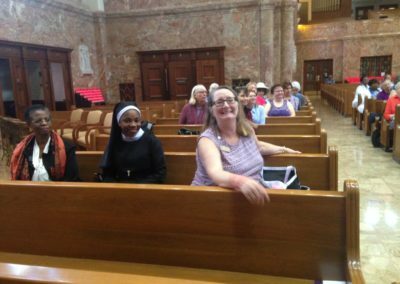 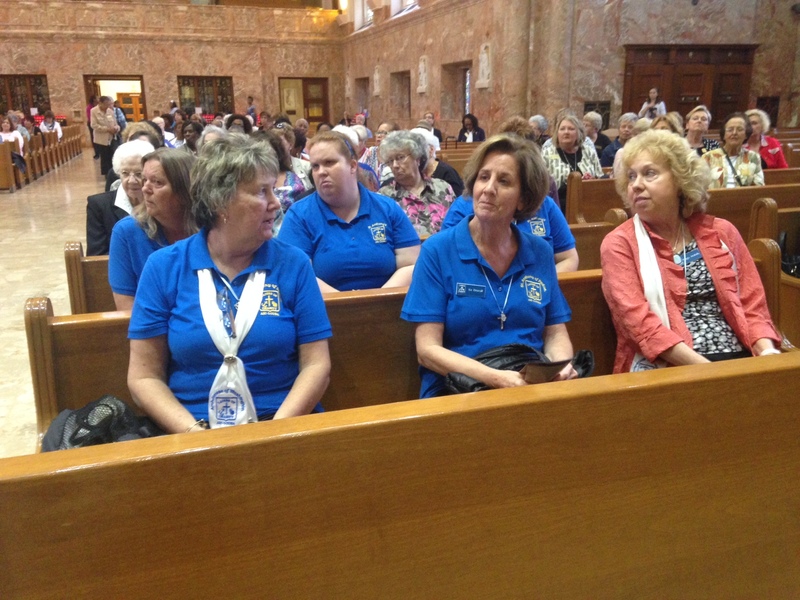 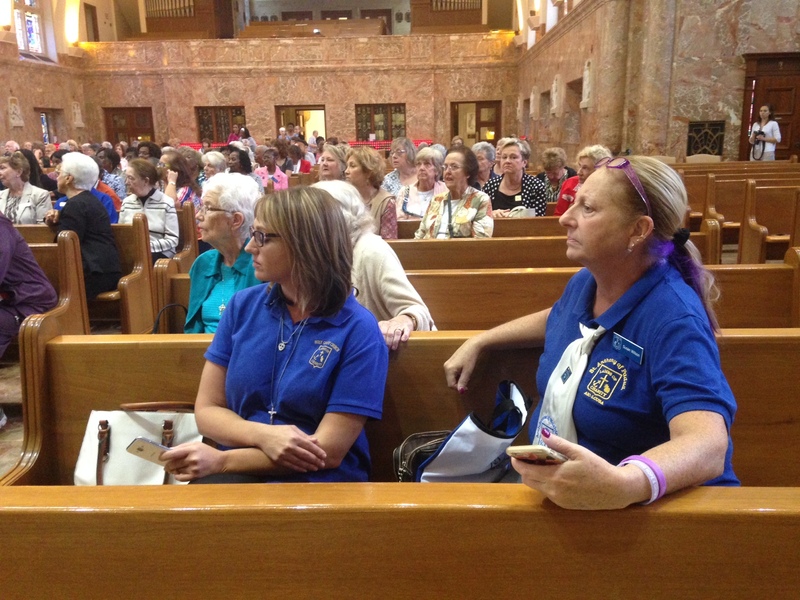 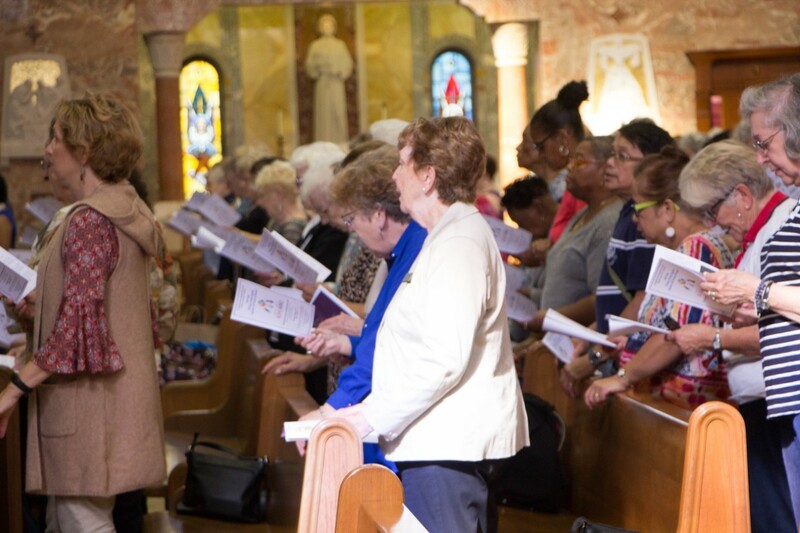 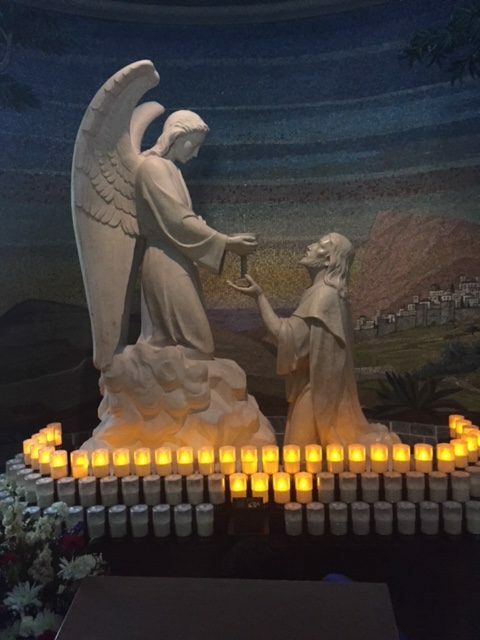 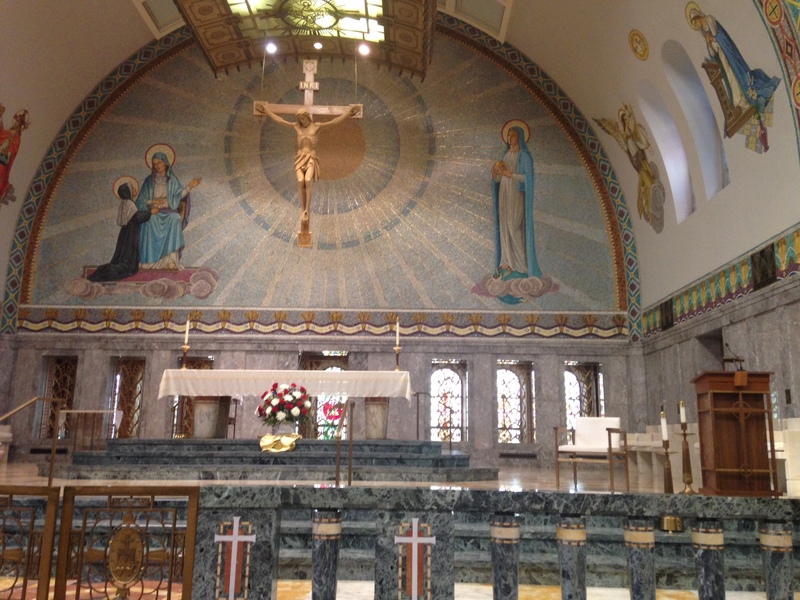 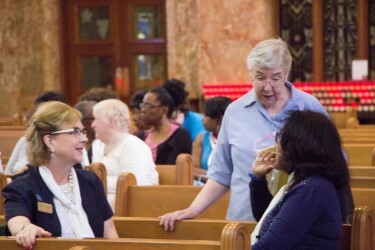 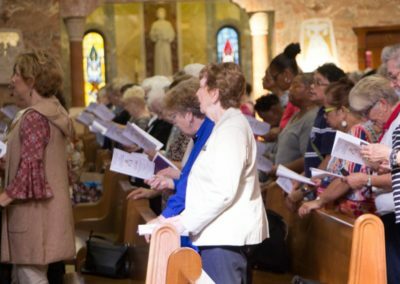 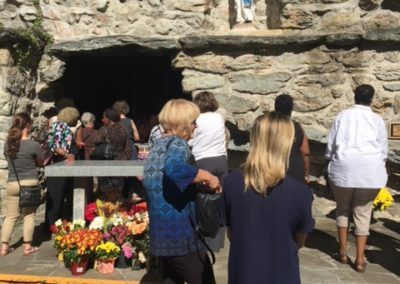 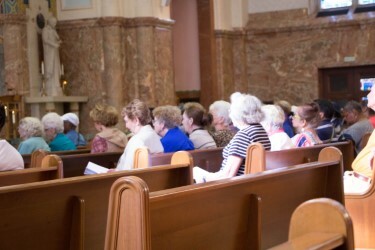 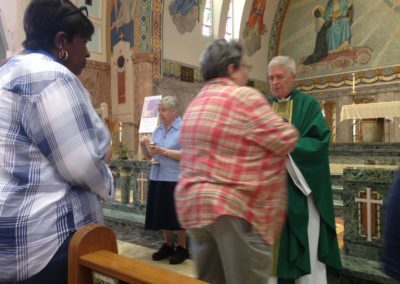 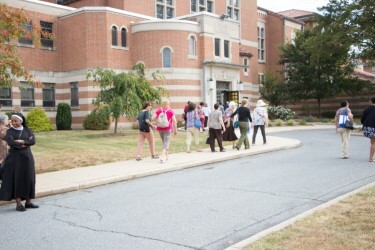 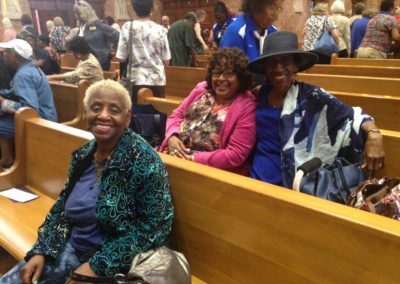 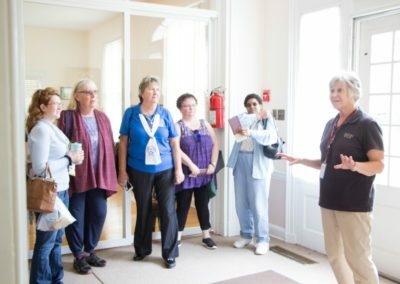 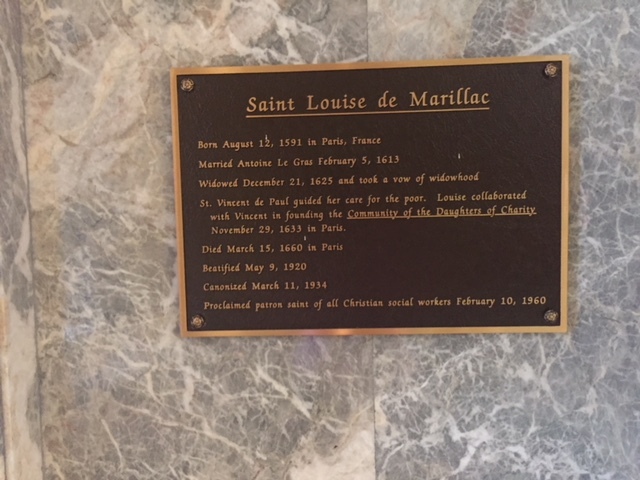 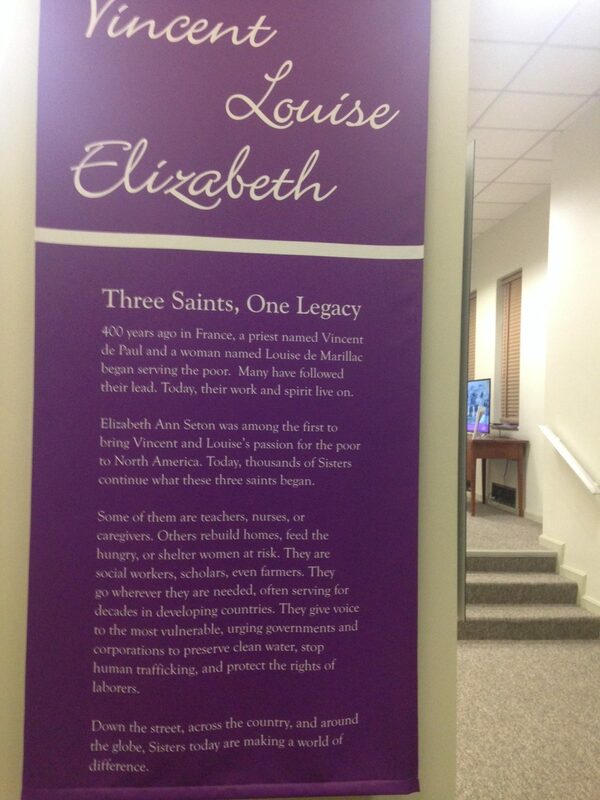 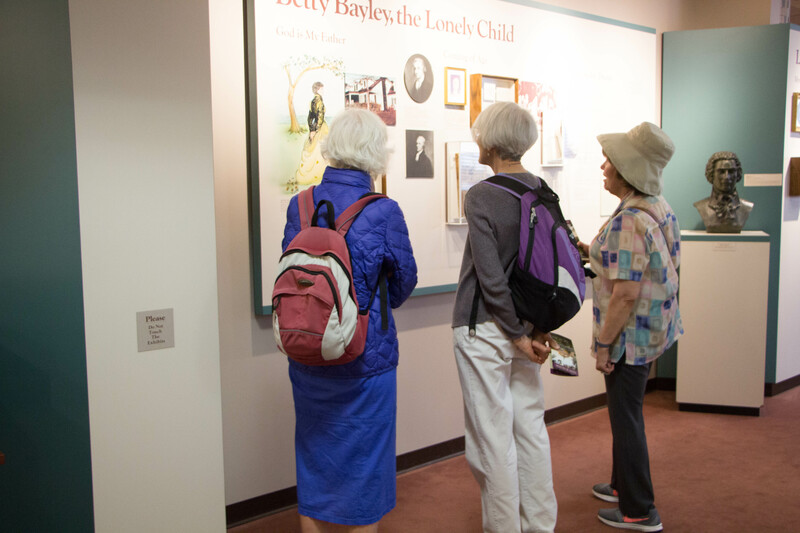 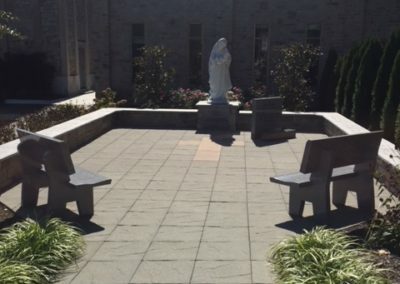 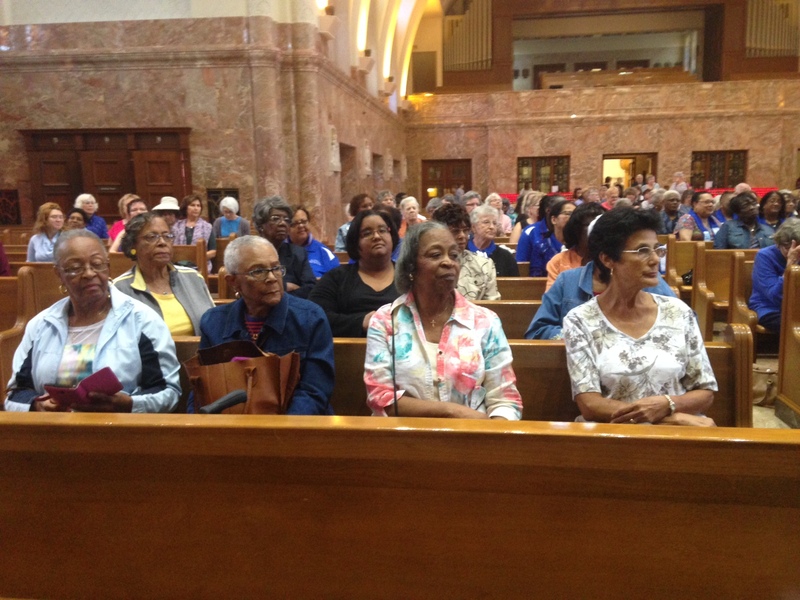 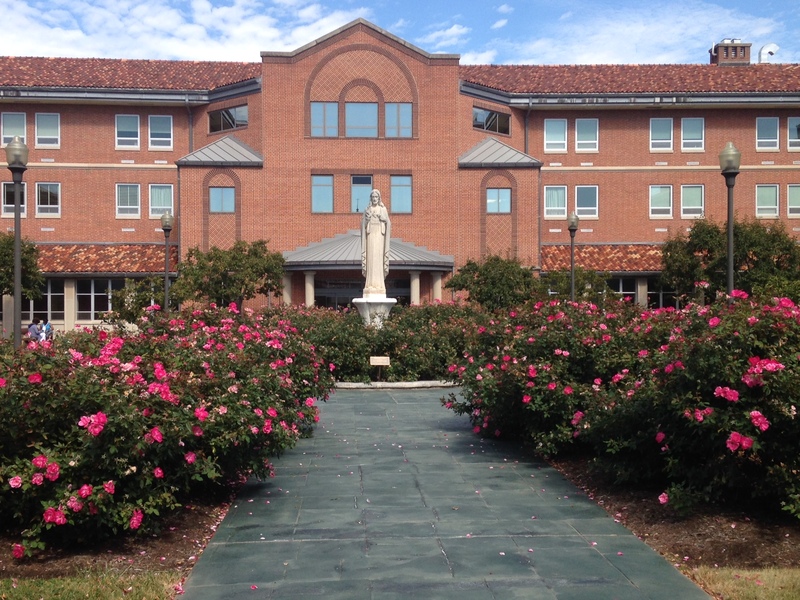 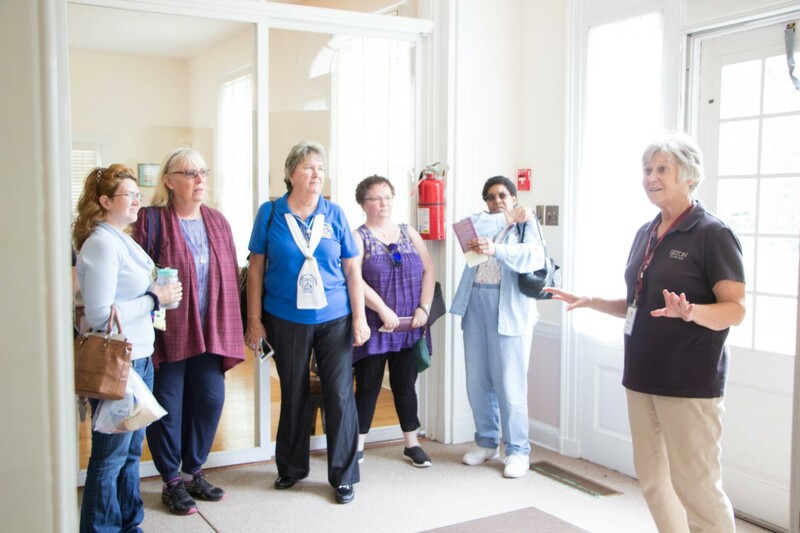 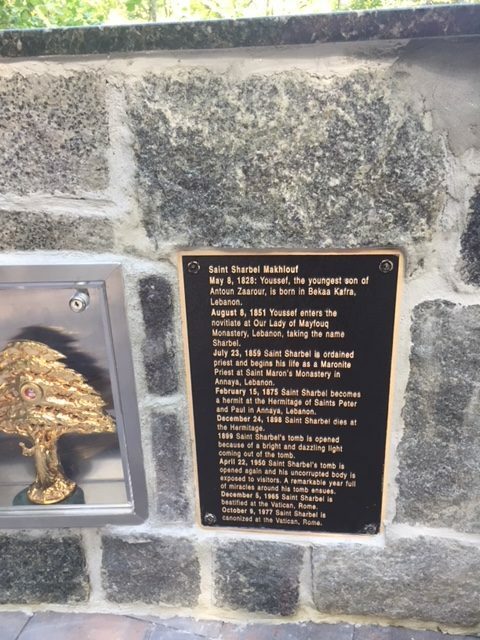 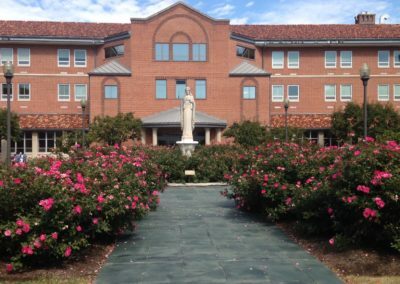 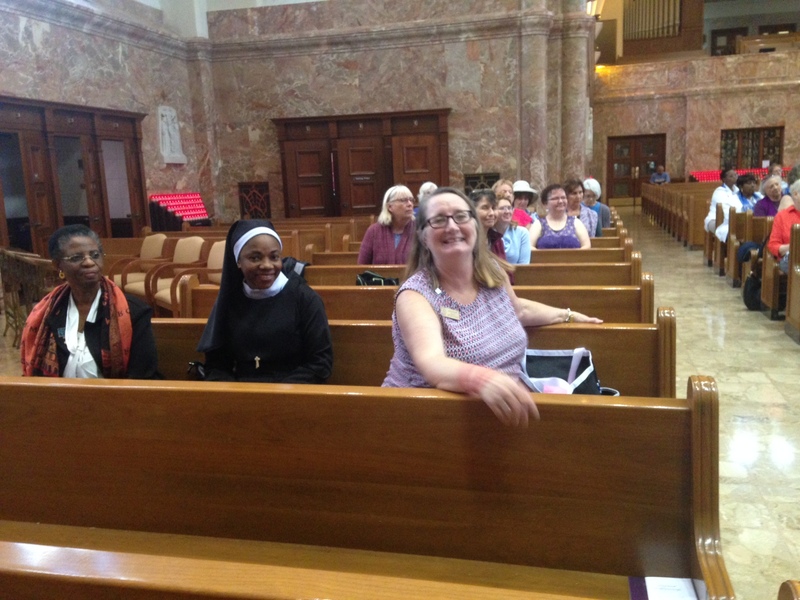 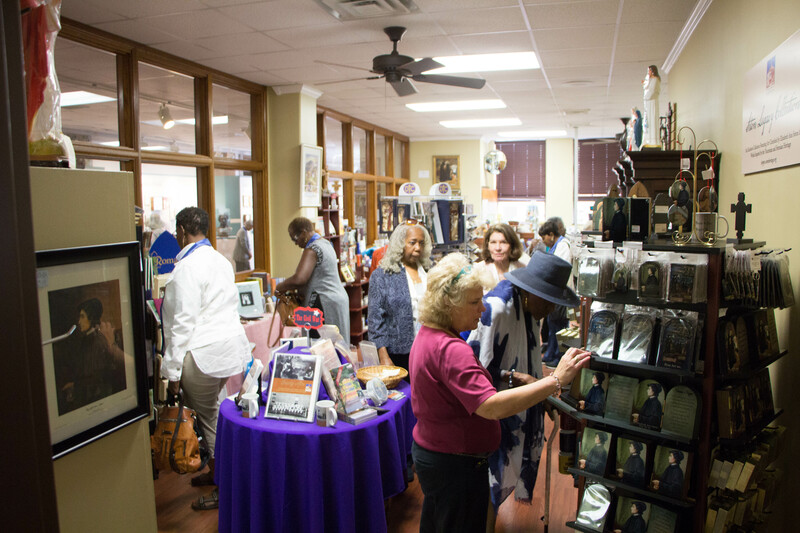 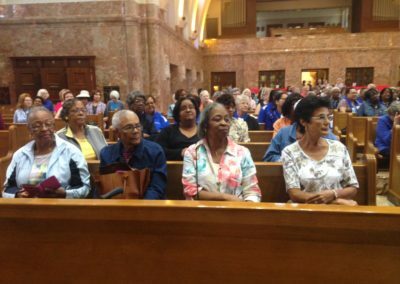 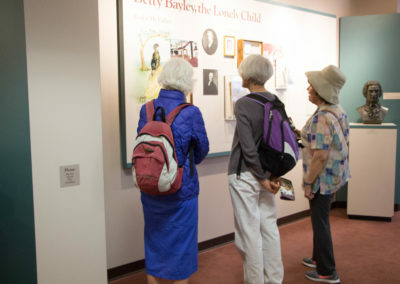 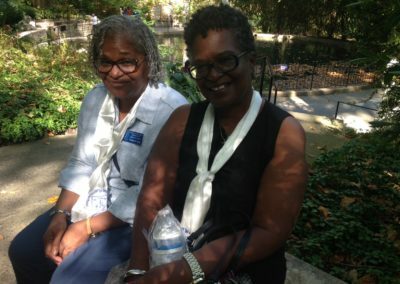 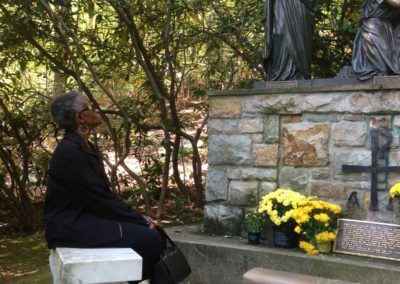 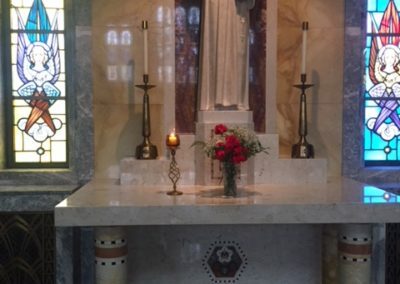 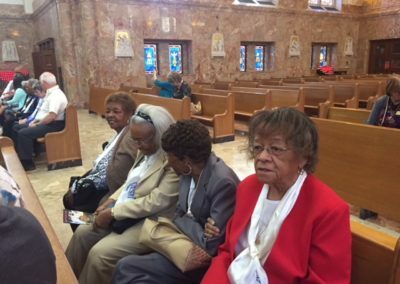 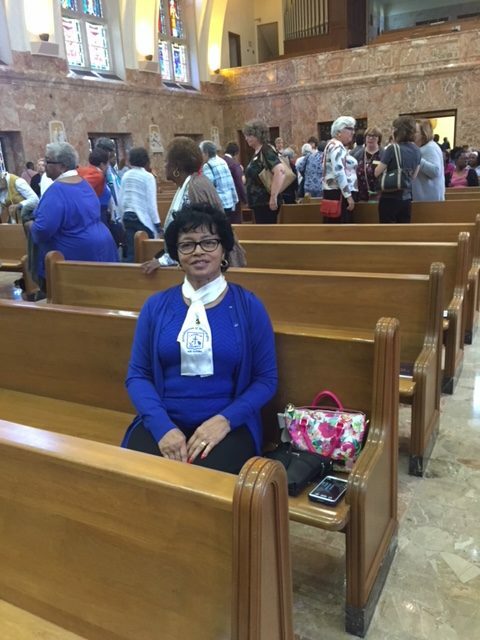 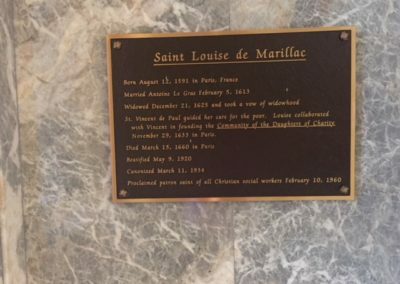 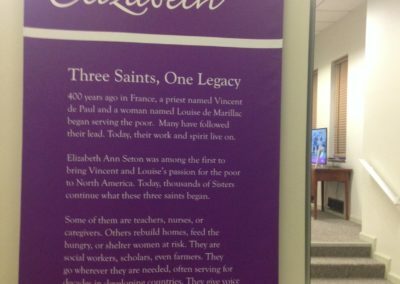 Approximately 250 Ladies made the pilgrimage to enjoy spiritual reflection and fellowship at the home of St. Elizabeth Ann Seton, who affectionately named the area Saint Joseph’s Valley. 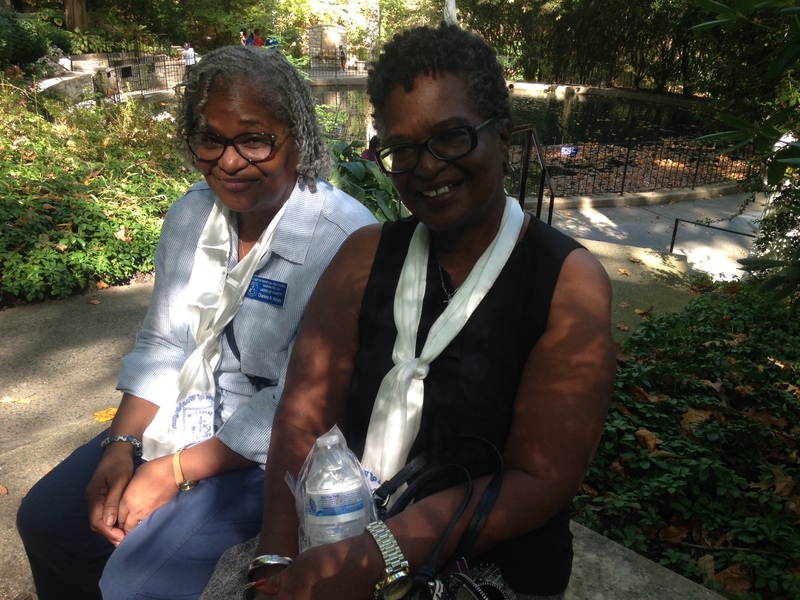 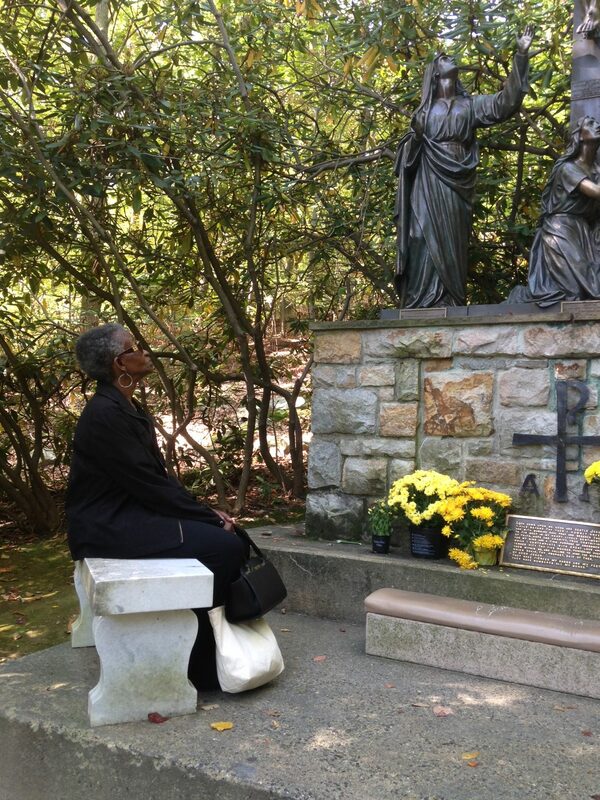 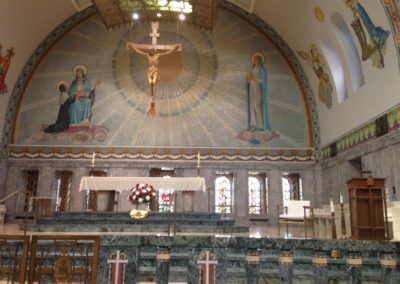 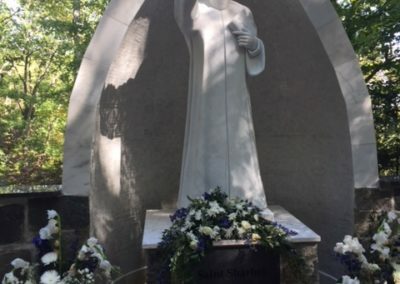 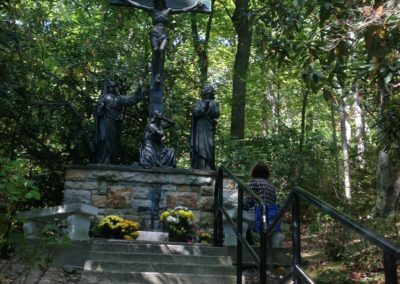 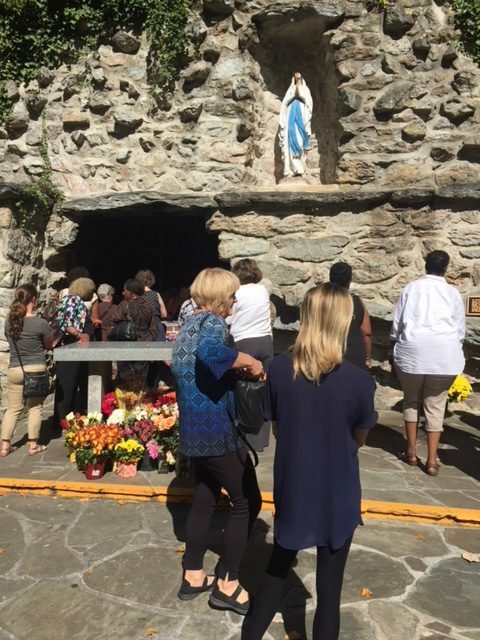 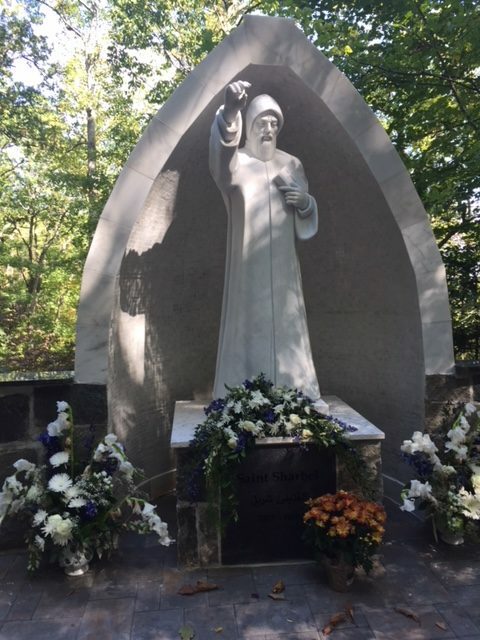 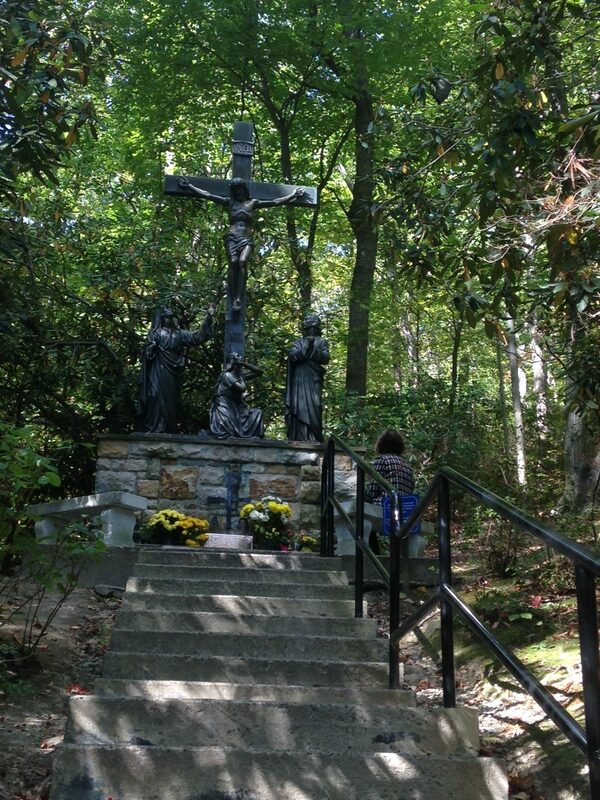 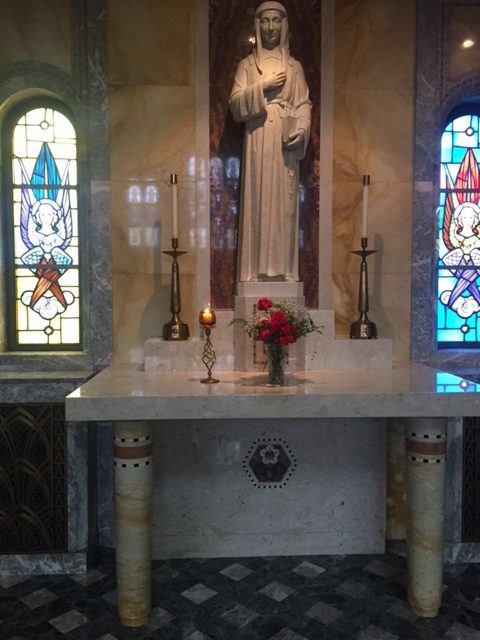 The day was filled with tours and a visit to Our Lady of Lourdes Grotto. 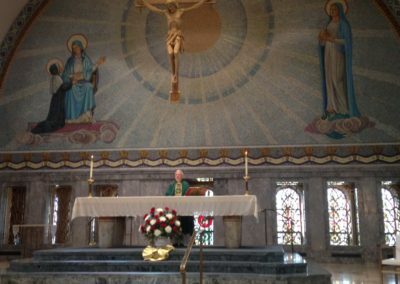 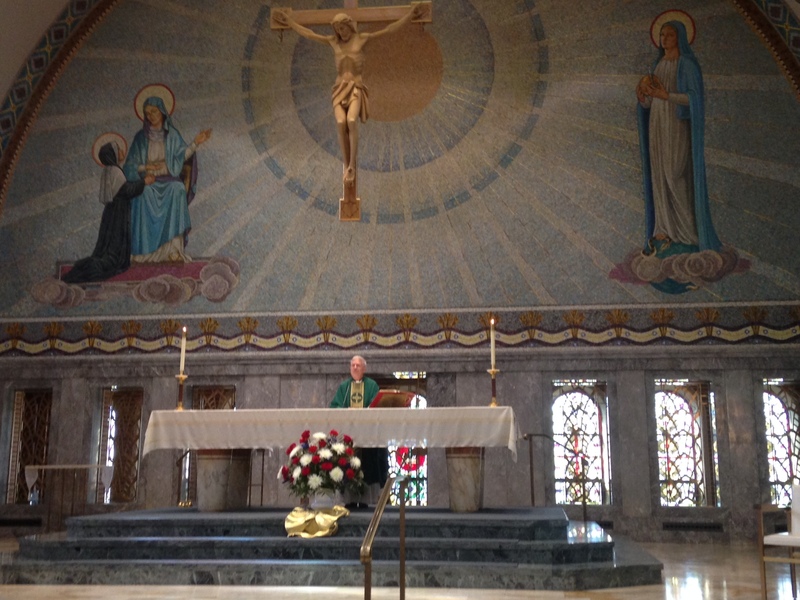 Mass in the Basilica celebrated by Father Philip Simo, Spiritual Advisor Archdiocese of Washington, closed out the day’s activities. 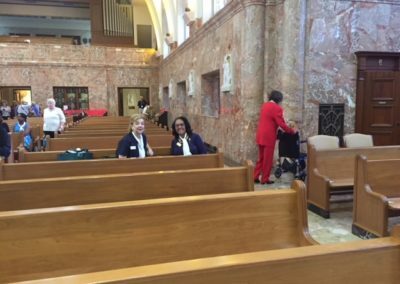 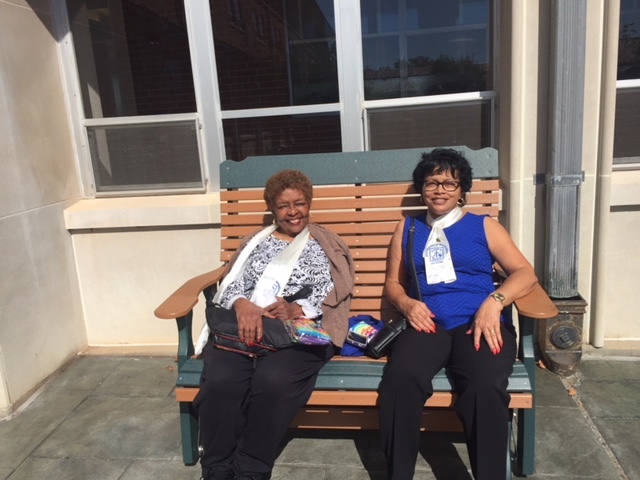 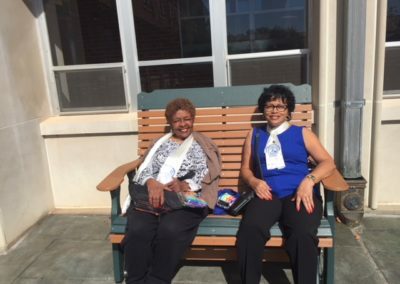 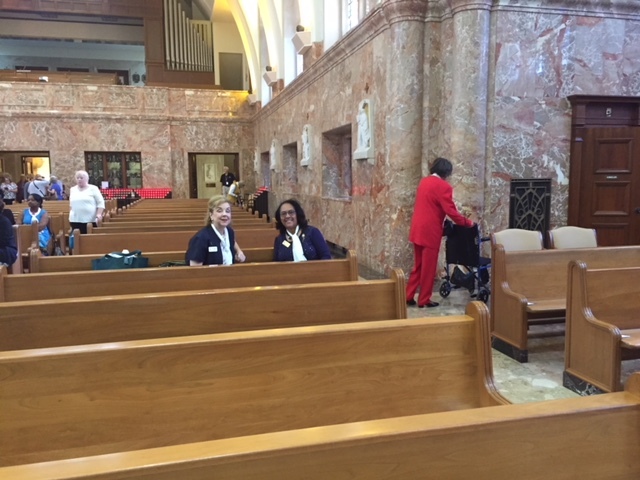 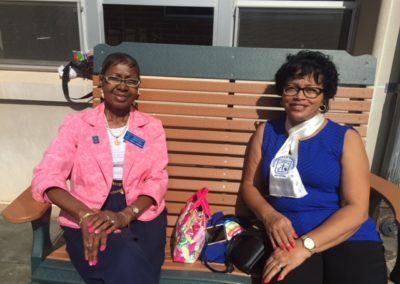 This afternoon liturgy was planned by two Sister Moderators, Sister Sandra Goldsborough, retired from the Washington Archdiocese Ladies of Charity, and Sister Ann Adele Kelly, Emmitsburg Ladies of Charity, who also provided the music for the liturgy. 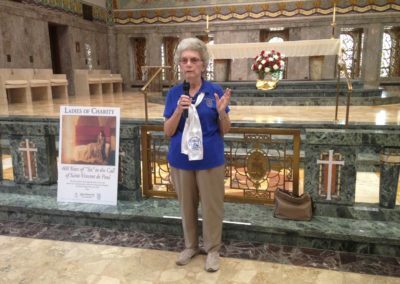 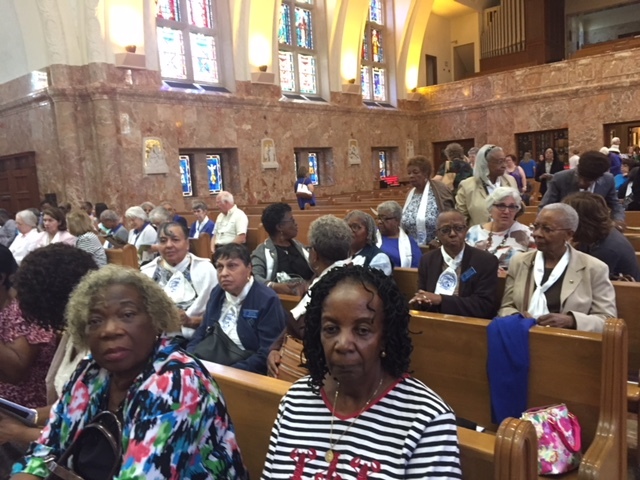 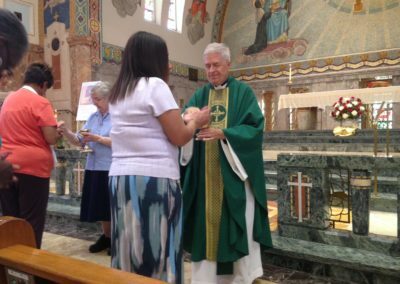 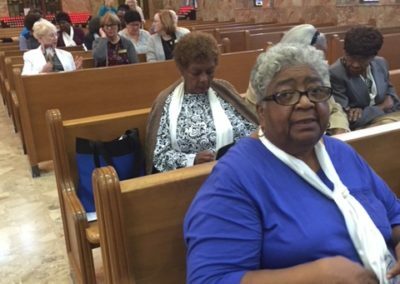 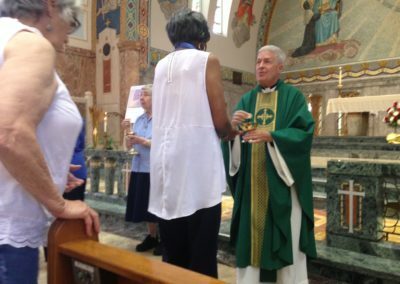 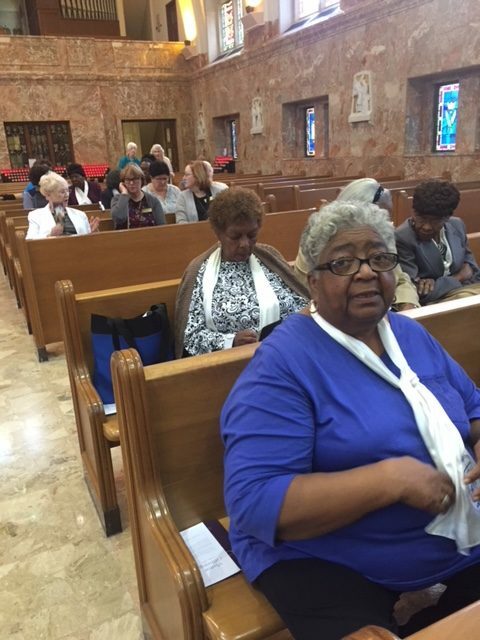 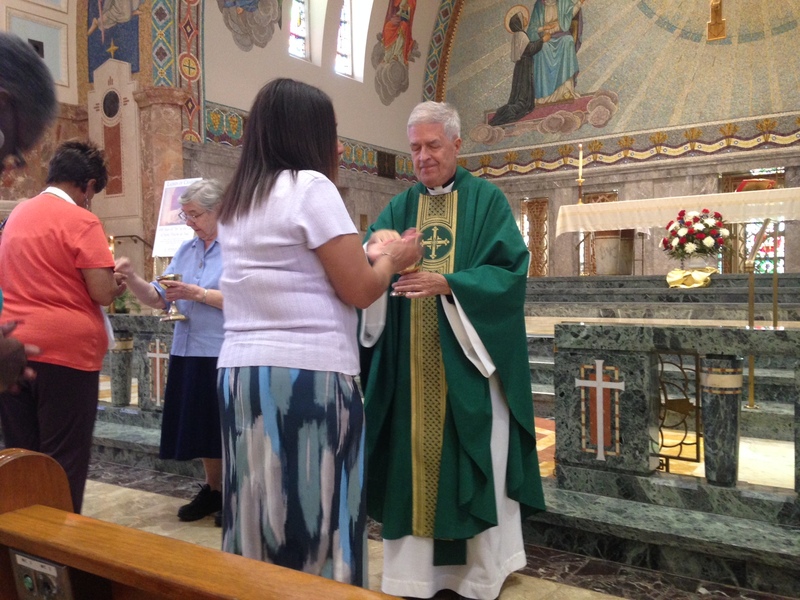 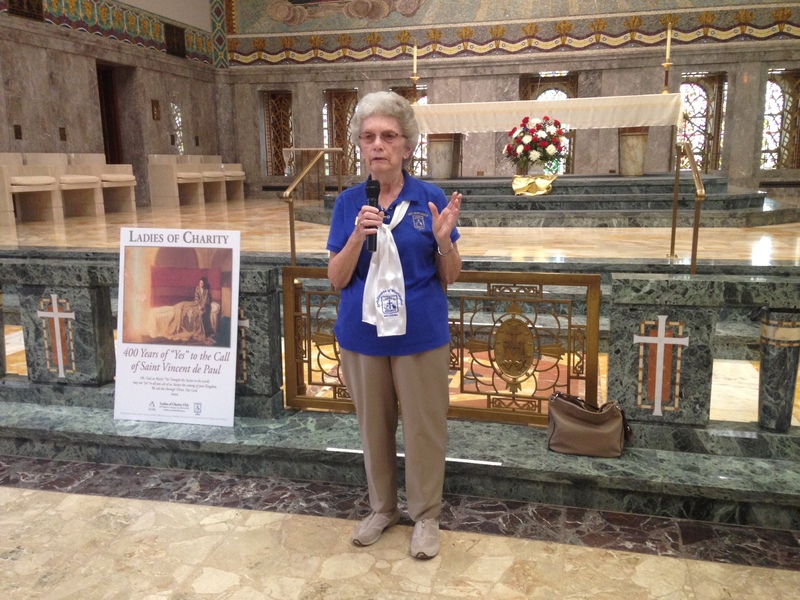 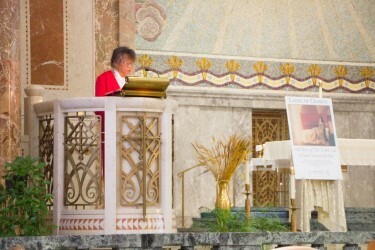 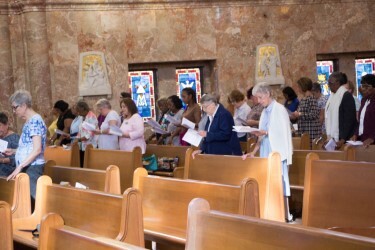 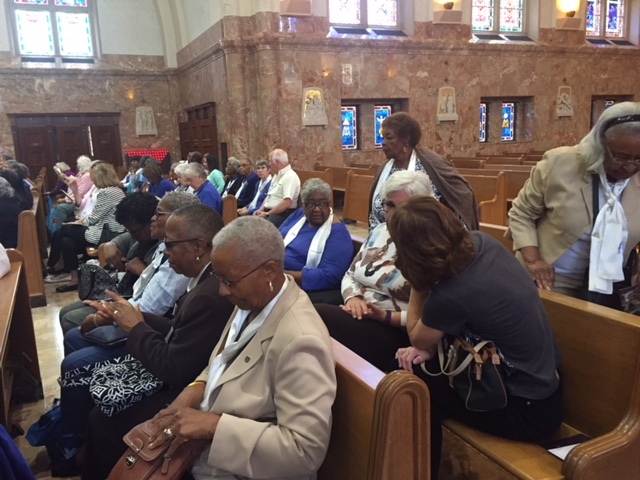 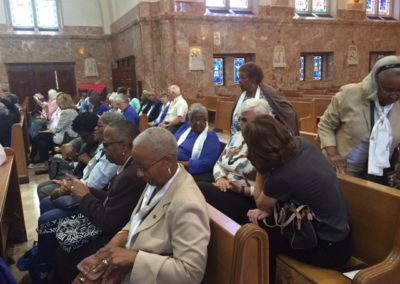 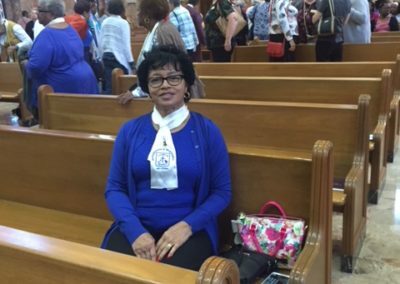 The printed liturgy program contained a special remembrance for the Ladies prepared by Toni Gaines, Archdiocese of Washington Website Manager. 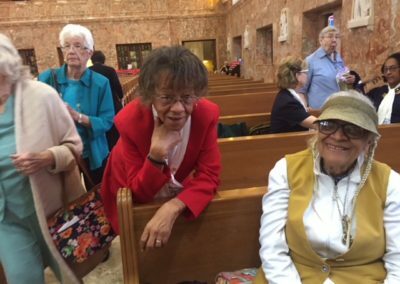 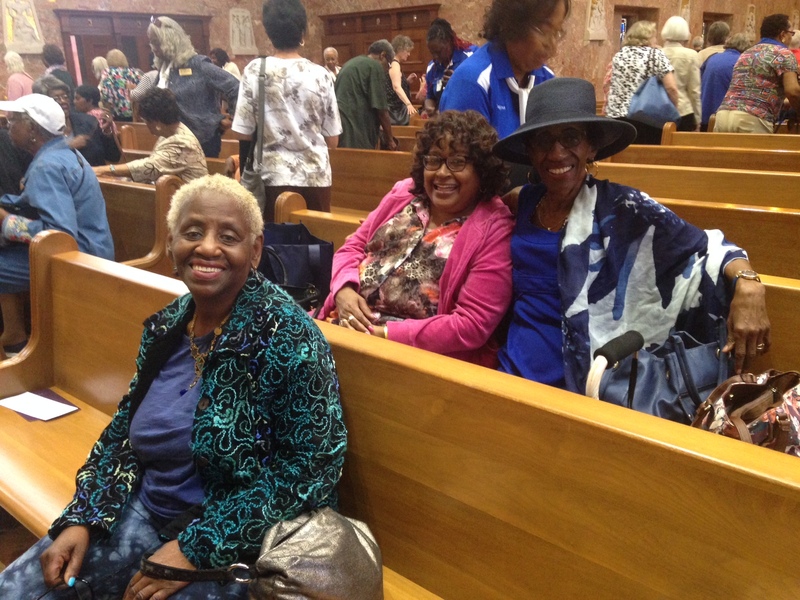 The special touches rendered by all involved in the day’s pilgrimage evoked the true Vincentian charism among the Ladies present. 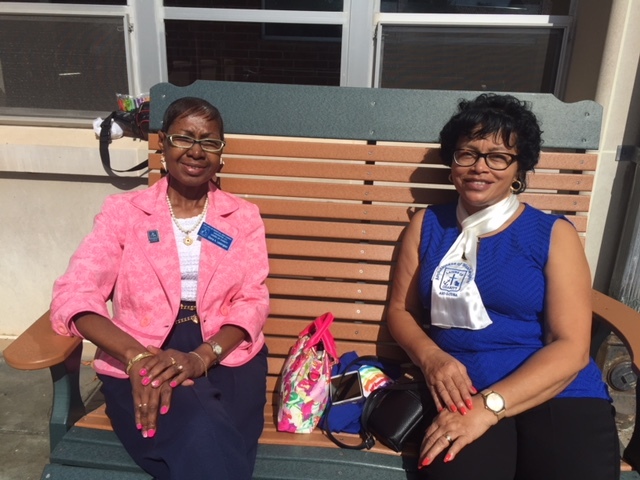 Another highlight of the day was the quilt made of blocks sent in by member associations in honor of the 400th Anniversary. 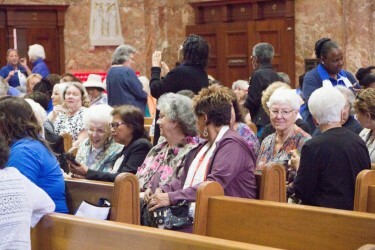 Ladies were excited to identify their particular block as part of the anniversary quilt made by Karen Radu of Pittsburgh. 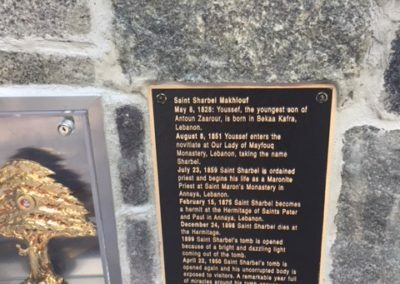 It was like finding a hidden treasure! 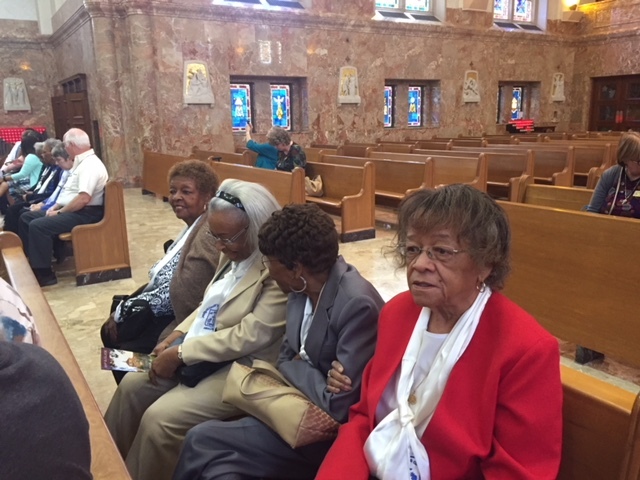 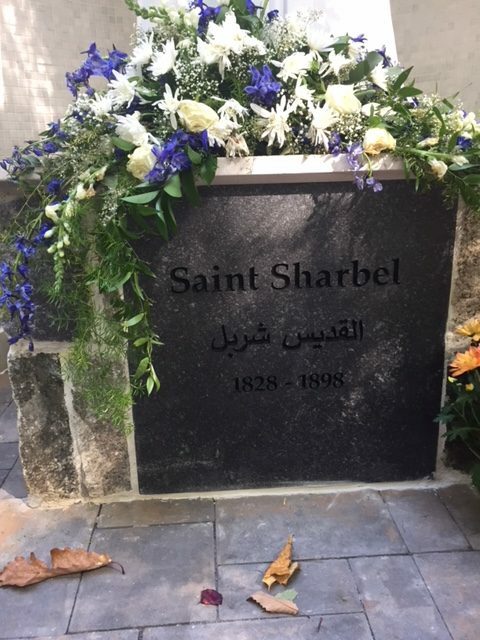 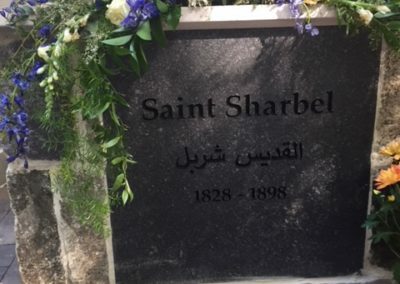 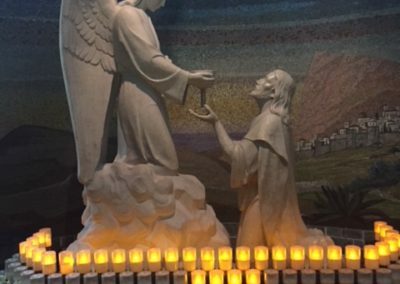 This day certainly fulfilled the definition of a pilgrimage: A journey undertaken by a believer or by a group of believers to a place of devotion; a place that is viewed as sacred and holy.